Pearl is the second solo studio album by Janis Joplin, released posthumously on Columbia Records, in January 1971. It was also released simultaneously in a 4 channel Quadraphonic format in the U.S.. 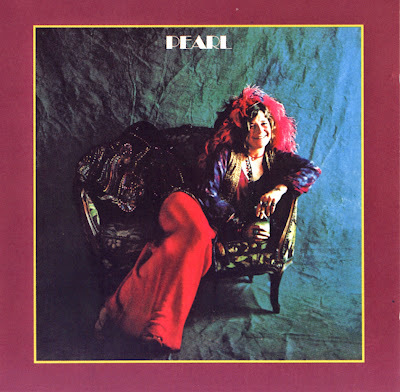 It was the final album with her direct participation, and the only Joplin album recorded with the Full Tilt Boogie Band, her final touring unit. It peaked at #1 on the Billboard 200, holding that spot for nine weeks. It has been certified quadruple platinum by the RIAA. The album has a more polished feel than the albums she recorded with Big Brother and the Holding Company and the Kozmic Blues Band due to the expertise of producer Paul A. Rothchild and her new backing musicians. Rothchild was best known as the recording studio producer of The Doors, and worked well with Joplin, calling her a producer's dream. Together they were able to craft an album that showcased her extraordinary vocal talents. All songs written and composed by Ian Anderson except where noted. Janis Joplin ~ 1969 ~ I Got Dem Ol' Kozmic Blues Again Mama!